Photograph courtesy ofآرمان at Wikimedia Commons. The first question most people have asked me when I told them that I was in Iran for the summer is, “Were you safe?” And when I confirmed that I was indeed safe, I was usually met with surprise. Iran, and most other Middle Eastern countries, are often imagined as dangerous and war-ridden nations that have made little to no progress. There is no denying that the Middle East has its problems, but every cloud has its silver lining. Iran and its citizens are blanketed by misconceptions. When talking about Iranians, most Americans — if they know where Iran is — often imagine angry crowds chanting “Death to America!” while they burn an American flag. This has been the image of Iranians ever since they stormed the U.S. Embassy in Tehran in 1979. However — and this might blow some minds — most Iranians like America. While Iranians hold frosty views on the United States’ government, they generally like the idea of American life. Iranians, especially the younger, more modern generations, are enraptured by Americana, which has influenced many things like the flourishing underground rap scene in Tehran. Rap isn’t the only thing that fascinates Iranians. Hollywood and its celebrities were something I was quizzed about incessantly. My grandmother informed me that she really liked movies that featured George Clooney and she wanted to know what the actor was like. My friends wanted to see videos of concerts I had gone to, excited to hear about the various artists that had visited Philadelphia on their tours. While Hollywood is quite popular, Iranians also have their own cinematic community to boast about. Iranian cinema is one of the most applauded in the world, with award-winning directors like Abbas Kiarostami and Asghar Farhadi, but the cinema scene doesn’t necessarily have the star-studded glamour of Hollywood. Another big thing in Iran is Instagram, the only social media platform not banned. Facebook, Snapchat, YouTube, Twitter, you name it and it’s banned. While most Iranians get by government firewalls using proxies, it’s simply less work to use the app that isn’t banned. For me, that was the hardest part of being in Iran. The aggravatingly slow internet and the ever-present firewall can drive a person insane, but Iranians power through this and are constantly making Instagram stories and posting streams of photos online. Instagram isn’t the only thing that keeps Iranians entertained. Tehran, a city that boasts 8 million residents, is packed full of entertaining past times. There are, of course, the obvious tourist destinations like Tehran’s Grand Bazaar, the Azadi and Milad towers, and Tehran’s most recent addition, the Tabiat bridge which connects two nature parks together (tabiat literally means nature in Farsi). The Tabiat bridge, which boasts the prestigious Architizer A+ Award, was designed by Leila Araghian, and was definitely amazing to see and walk across. The parks themselves were beautiful and lush, a stark contrast from most of the city’s concrete setting. Aside from visiting tourist spots, I also joined my cousin at a concert of a popular pop singer, Ashvan. Although dancing at the concert was prohibited, fans screamed along to the lyrics and it was certainly a memorable time. By and large, it is impossible to be bored in Tehran. Another astounding city in Iran is Isfahan. The city is nicknamed “Isfahan, nasf-e jahan” which translates to “Isfahan is half the world,” a proverb that entails how rich in history and culture the city is. Once, Isfahan was one of the largest cities in the world and was a destination on the silk road in the 16th century and is the home of the famous Persian rugs. Isfahan was at one point the capital of Iran, which lead to the creation of beautiful structures for the Shahs of the era. 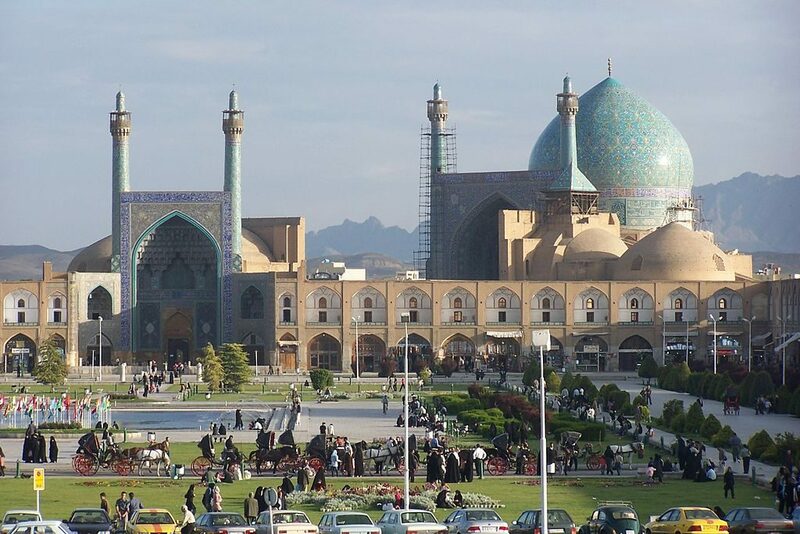 This includes the Ali Qapu Palace in the Naqsh-e Jahan Square, which is one of the largest city squares in the world. The Naqsh-e Jahan Square is also home to the famous Masjed-e Jadid-e Abbasi (the Shah Mosque), which shows off the architectural and artistic genius of 17th century architects. During my trip to the city, I got to see all these wonders up close, and it was genuinely astounding to see what people from the past created without the advantage of modern technology. Our tour guide gave an in-depth explanation of how every aspect of the design had a specific purpose. For example, the exterior of the dome of the mosque reaches a greater height than the interior. The hollow space this creates results in booming echoes to be heard when a person claps, enhancing the acoustics of the structure. The Naqsh-e Jahan Square also houses Isfahan’s Grand Bazaar, which is one of the middle east’s oldest Bazaars, with the oldest sections dating back thousands of years. There was never a shortage of things to do in Isfahan, and to be frank, the city lived up to its proverb. Iran’s rich culture and deep history are often overlooked, which is a shame. The people of Iran often carry a bad reputation with them as well. But it is important that we look past misconceptions and issues that divide people, and instead look at the things that bring them together.